What are the best charities and volunteer opportunities for fulltime Rvers? Do you want to take vacations with a purpose? We list charities, and some charity reviews that can lead to you to some unusual vacations that might be extremely gratifying for full time RVers. Getting involved is easy if you are living the fulltime RV lifestyle and you can start when you downsize to an RV and donate household items to charity. If you are enjoying life on the road and seeing different parts of the country, you might consider volunteering your time or talents to worthy charitable causes. Some RVers take on volunteer opportunities or go to work for a volunteer organizations while they are traveling, and it can offer them opportunities for a different lifestyle experience and some fun in giving back to others. What are some of the best charities and volunteer opportunities available for full-time RVers, and how do you sign up for them? Charity organizations offer a popular way of seeing different parts of the country and offers volunteer opportunities near numerous fairgrounds, campgrounds or RV hotspots across the country. 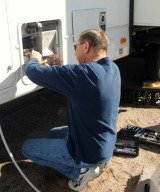 Some of these jobs allow you a free place to park and hook up your RV while working your volunteer opportunities. You can always help the Rotary, Elks, and Kiwanis, Lions or VFW clubs with county fairs or other local festivals as you travel. Things like cleaning up grounds, emptying trash barrels, mowing, housekeeping in cabins are things you might expect at some of these types of volunteer opportunities. Some of them are for profit and others are non-profit organizations that can use extra help during the heavy season. Some want campground sitters to watch over the place during off season while the owner's vacation. There are also volunteer organizations that have campgrounds that are handy for full-time RVers. Places like the Girl or Boy Scout summer camps are always fun. In the West, there are dude ranches for under-privileged kids that have volunteer opportunities that offer a variety of different things to do. Gathering campfire wood, helping with horseback trail rides or cooking are some of the non-profit jobs in these types of settings, and they may be temporary in nature. Fun and exciting volunteer opportunities happen twice a year in Wyoming, the Bitterroot cattle roundup. Every year, the cattle graze on national forest land from July to October and RVers that can ride a horse good enough can help herd the cows into the mountains the first week of July, and round them back up the last week of September. The cattle are spread over fifty square miles of high mountains, forest, river valleys and clearings. It isn't unusual to spot wild elk, deer and moose in this best charity adventure. One of the best charities for RV volunteers is Habitat for Humanity which offers charity jobs like the RV Care-A-Vanner program, where you travel around and build houses for families in need. You can also find volunteer opportunities with the National Park Service or US Forest Service helping take care of our national parks and forests. These can be fun jobs and a way you can earn free RV lot rental. Volunteering can be a lot of fun, and help you save expenses, or provide you with free lot rent, food and other new experiences that many people would pay money to do. Who wouldn't want to go on a cattle roundup or build a campfire at the dude ranch or maybe go for a trail ride through some beautiful scenery? Looking for the best charities and volunteerism opportunities can offer fun times if you look carefully. There are several websites that offer volunteer matching. There are various positions around the United States, so you can look for charity jobs in the part of the country you plan to visit next. Americorps - Your world and your chance to make it better! AmeriCorps is an opportunity to make a big difference in your life and in the lives of those around you. ItÃ‚â€™s a chance to apply your skills and ideals toward helping others and meeting critical needs in the community. Each year, AmeriCorps offers 75,000 opportunities for adults of all ages and backgrounds to serve through a network of partnerships with local and national nonprofit groups. Whether your service makes a community safer, gives a child a second chance, or helps protect the environment, youÃ‚â€™ll be getting things done through AmeriCorps. Senior Corps - Best Charities for Seniors Americans over 55 have a lifetime of experience to share, and the desire to make a real difference in their world. TheyÃ‚â€™ve managed households, been business owners and nurses, farmers and salespeople, artists and executives. Now they are ready to put their unique talents and expertise to work in their communities, and enrich their own lives in the process. Senior Corps connects today's over 55s with the people and organizations that need them most. We help them become mentors, coaches or companions to people in need, or contribute their job skills and expertise to community projects and organizations. Conceived during John F. Kennedy's presidency, Senior Corps currently links more than 500,000 Americans to service opportunities. Their contributions of skills, knowledge, and experience make a real difference to individuals, nonprofits, and faith-based and other community organizations throughout the United States. Volunteer Match - Best Charities for Anyone, Volunteer Match strengthens communities by making it easier for good people and good causes to connect. Humane Societies - Best Charities for Animal Lovers, Celebrating Animals, Confronting Cruelty! The Humane Society of the United States is the nation's largest and most effective animal protection organization (animal shelters) backed by 10 million Americans, or one in every 30. Established in 1954, The HSUS seeks a humane and sustainable world for all animals - a world that will also benefit people. They are America's mainstream force against cruelty, exploitation and neglect, as well as the most trusted voice extolling the human-animal bond. Best charities and volunteer opportuniites for an unusual vacation in your RV - Taking a volunteer vacation to donate your time can enrich your life and provide you with a personal growth experience you might never have dreamed of. Fulltime RVers can sometimes feel like they are not part of a community and some may even feel alienated once they have left behind family and friends. Especially if they don't get involved with others while traveling. Giving your time to others can help restore a feeling of belonging and a sense of community that will enrich your life in so many ways. Vacations with a Purpose - Some of the best charities to Relax and Rejuvenate - Relax the body - Rejuvenate the soul. There are so many other ways that you can experience the sheer joy of making a difference. Getting involved can be an enriching experience for you and your family, and will be a cherished gift for the children of the community. Fulltime RVers have many great options for volunteerism. After all, you bring your lodging with you as you bring your motor home, fifth-wheel or travel trailer. This makes it easy to volunteer for your favorite cause and many RVers are discovering that National Wildlife Refuges are fun and exciting opportunities. National Wildlife Refuges are some of the best charities if you wamt to help wildlife. There are many ways to help at a wildlife refuge. Photographing natural resources and cultural resources, helping with research in a laboratory and improving the habitats for various plant and animal life are just a few things that a volunteer can do. They can also conduct population surveys on fish and wildlife such as the bald eagle, or help to band ducks, do wildlife surveys and even raise fish in a hatchery. There are many ways to help at a wildlife refuge. Photographing natural resources and cultural resources, helping with research in a laboratory and improving the habitats for various plant and animal life are just a few things that a volunteer can do. They can also conduct population surveys on fish and wildlife such as the bald eagle, or help to Osprey Blackwater Wildlife Refuge Cambridge Maryland band ducks, do wildlife surveys and even raise fish in a hatchery. Volunteers who are not so outdoorsy can work with computers and other types of technical equipment or do administrative and clerical duties. Volunteers who have the gift of gab may enjoy leading tours and providing information to visitors such as school groups and clubs. Best charities and volunteer opportuniites: Fulltime RVers have many great options for volunteerism. After all, you bring your lodging with you as you bring your motor home, fifth-wheel or travel trailer. This makes it easy to volunteer for your favorite cause and many RVers are discovering that National Wildlife Refuges are fun and exciting opportunities. There are many ways to help at a wildlife refuge. Photographing natural resources and cultural resources, helping with research in a laboratory and improving the habitats for various plant and animal life are just a few things that a volunteer can do. They can also conduct population surveys on fish and wildlife such as the bald eagle, or help to Osprey Blackwater Wildlife Refuge Cambridge Maryland band ducks, do wildlife surveys and even raise fish in a hatchery. Volunteers who are not so outdoorsy can work with computers and other types of technical equipment or do administrative and clerical duties. If you have the gift of gab then may enjoy leading tours and providing information to visitors such as school groups and clubs. A wildlife refuge does not require any particular or special skill. Anyone can volunteer and if it is needed, they will provide on the job training. When you sign up to volunteer with a wildlife refuge, they will inventory your own talents and skill, then match them to the best charities, volunteer opportuniites and interests. It is fun, educational and a great way to help other people learn about and understand America's greatest natural treasures. With more than 520 refuges in the National Wildlife Refuge System spanning 93 million acres throughout the United States, there are many, many volunteer opportunities in many, many very different types of climates and areas. Additionally, they have 69 National Fish Hatcheries, 64 fishery resource offices and 78 ecological services field stations. Wildlife refuges are run by the U.S. Fish and Wildlife Service which is a bureau within the Department of the Interior. They state their mission is Ã‚â€œto "work Banding Cormorant Saskatchewan Canada with others to conserve, protect and enhance fish, wildlife and plants and their habitats for the continuing benefit of the American people." While the U.S. Fish and Wildlife Service does work to guide the development, management and conservation of fish and wildlife resources within the United States, they also reach out to people to educate them. The national program that they have in place is designed to provide a dissemination of information that helps the public appreciate, understand and wisely use the wildlife and fish resources. So, if you are looking for a great way to give back, check out the best charities and volunteer opportuniites with the National Wildlife Refuge System. 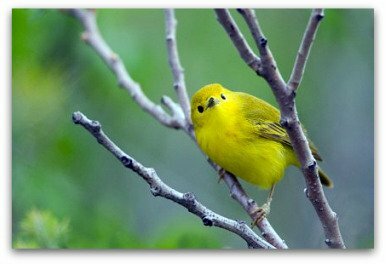 Just pick a wildlife refuge or hatchery in the area of your choice by visiting their website to see what volunteer opportunities are there. If you don't find volunteer opportunities at the wildlife refuge or hatchery of your choice, you can call or email the facility directly to get the information. Once you have found the volunteer opportunity of your choice at the wildlife refuge or hatchery that you want, just pack up your RV, motor home, fifth-wheel or travel trailer and hit the dusty trail as you reach out and give back.